Well, after an initial bumpy start I have finally completed my dissertation. I have to say that once I got going it wasn’t that bad! Have now submitted it so it’s out of my hands – just have to wait until July for the verdict! 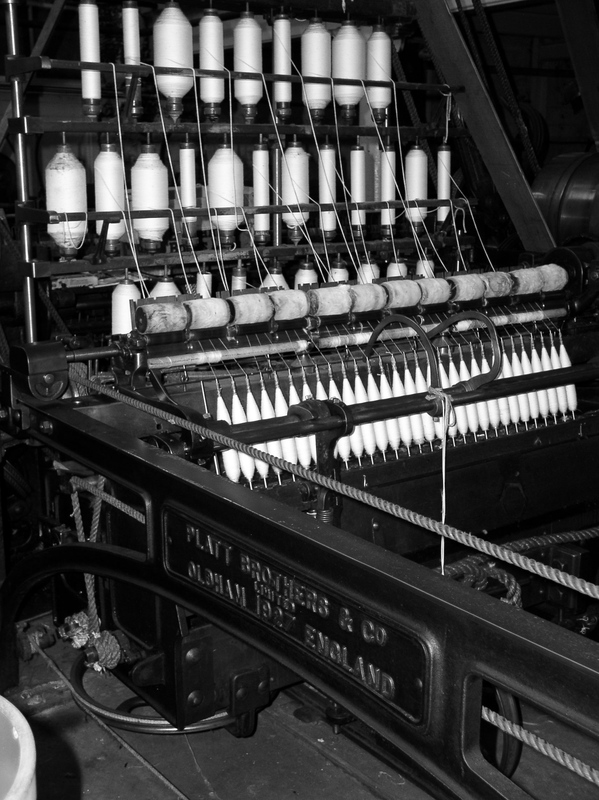 I am now focussing on my bobbin installation and have spent some more time at Cromford Mill, Masson Mill and the Leeds Industrial Museum gaining more of an insight into the textile industry / worker’s conditions, etc. This research has led to the development of further ideas for smaller installations as well as possible ‘printed’ cogs and other images. 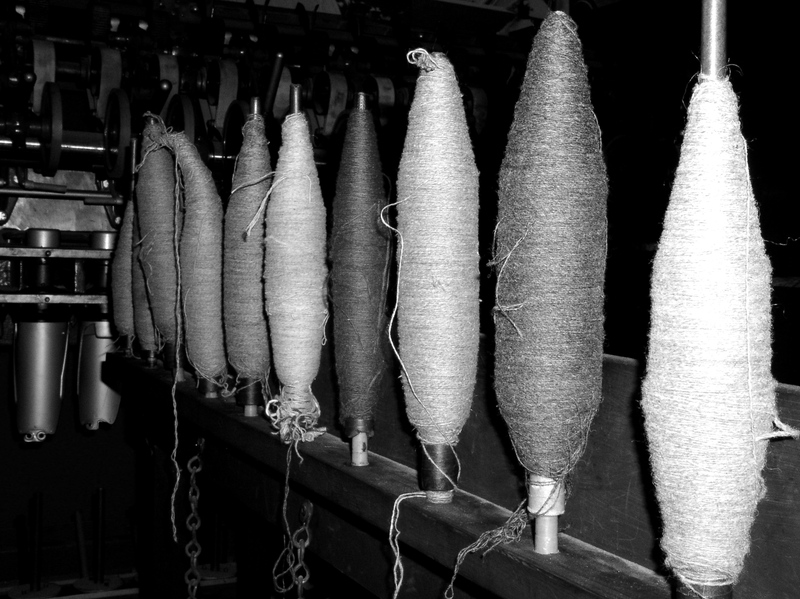 These smaller pieces consider the juxtaposition between the heavy machinery and the soft, delicate yarns / woollen cloth they create. 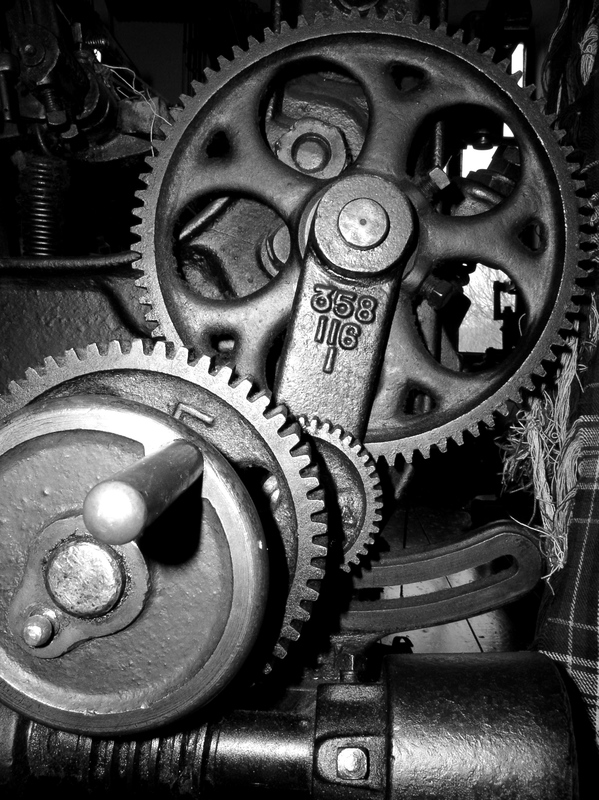 Have become fascinated with the ornate machinery, the detail and craftsmanship is astounding as seen in these images – they’re almost works of art in themselves. I am hoping to photo-etch images onto cogs this week…not done this before so will keep you posted on my progress!